One of our main areas of work is the purchase and sale of residential property. We deal not only with property in Peeblesshire, the Scottish Borders and Edinburgh but also property anywhere in Scotland. As a country practice we are particularly experienced in dealing with rural properties including large country houses, the conveyancing for which tends to be more complicated than with urban properties. Working alongside our busy Estate Agency team, we aim to provide a complete property sale package to keep moving home as simple as possible. We can also advise on leasing of residential properties. We advise commercial clients, including family businesses, with regard to the purchase, sale and leasing of commercial properties. We deal with separation and divorce, dissolution of Civil Partnerships, cohabitation issues, as well as adoption. Separation and divorce can be very stressful and difficult. As well as the legal issues involved there are also the practicalities of day to day life whilst coming to terms with a change in circumstances; experience shows that the manner in which a separation or divorce is dealt with can make a huge difference to you, your spouse or partner and your children. Sally Swinney, one of our Partners, is a very experienced family lawyer but is also trained in Collaborative Law. Sally has a pragmatic and straightforward approach to family matters and is committed to allowing couples to settle family disputes without recourse to the Courts if at all possible. Much of her work is centred around negotiation in order to reach agreement in family matters rather than the more traditional adversarial route involving courts. We advise on all aspects of Powers of Attorney and other options available for management of a person’s financial affairs or personal welfare matters, including Guardianship. We are also able to prepare Living Wills or Advance Decisions (Advance Medical Directives). Acting as a financial attorney or guardian can be an onerous task for an individual to undertake. Many clients instruct us to attend to financial management in connection with both Power of Attorney administration and Guardianship Orders. In respect of Financial Guardianship Orders, we can also prepare and submit the reports required by The Office of the Public Guardian including applying for Caution, if required. We act for employers and employees in connection with Employment Law, including contracts of employment, disciplinary and grievance procedures, discrimination, redundancy, unfair dismissal, Settlement Agreement and TUPE. 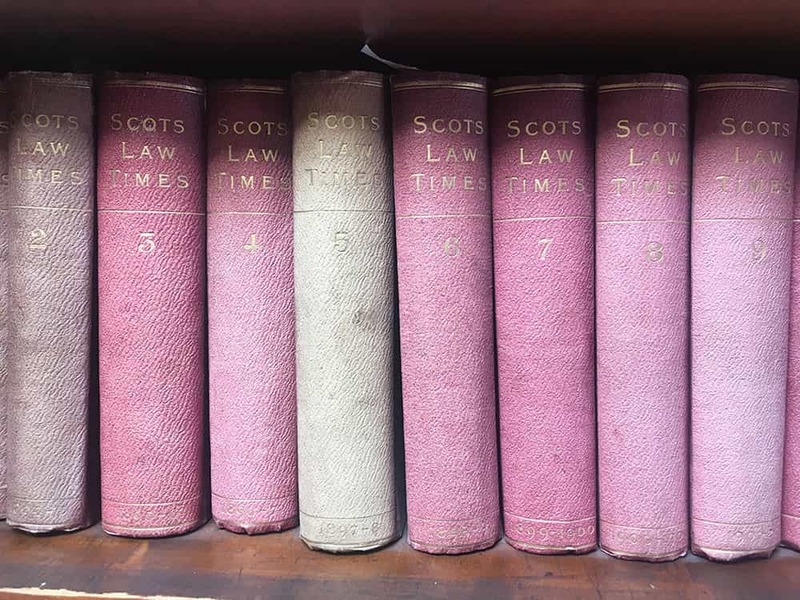 We advise on the setting up of new charities and their ongoing administration to ensure compliance with the Office of the Scottish Charity Regulator (OSCR) including advice on establishment of charities, preparation of constitutive documentation, general administration and preparation and submission of annual accounts and returns to OSCR. Many of the matters for which clients instruct us do not fall within the above categories and instead relate to boundary and other property disputes, personal injury, collection of debt, notarising and other matters. Where possible we will do our best to help you and if we can’t, we will usually be able to refer you to someone who can.